1) The arrival (on my radar anyway) of a decent (I’ve seen some that leave something to be desired, let me tell you) knitting web comic – Worsted for Wear. It just started last fall, so it doesn’t take long to catch up reading it. Thanks to canadianchia for pointing it out to me. 2) The Toronto Edition of World Wide Knit in Public Day is now official and will be happening on Jun 9th. 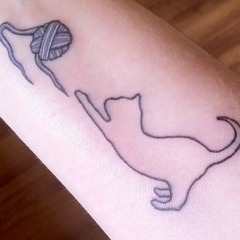 4) The Knitter’s Frolic was this past weekend. Look what I scored! 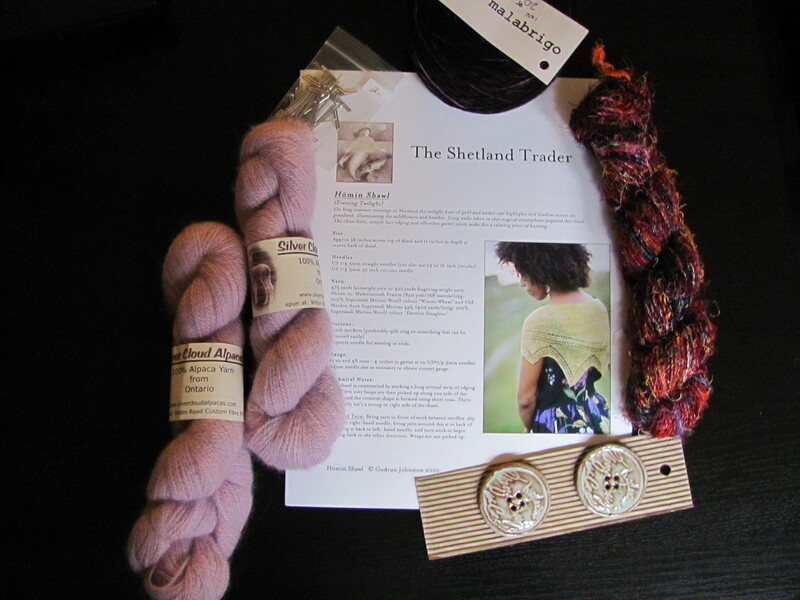 The pattern, Shetland Trader/Homin Shawl by Gudrun Johnston is meant for the lovely lilac-hued, lace weight, made-in-Ontario Alpaca you see on the left. 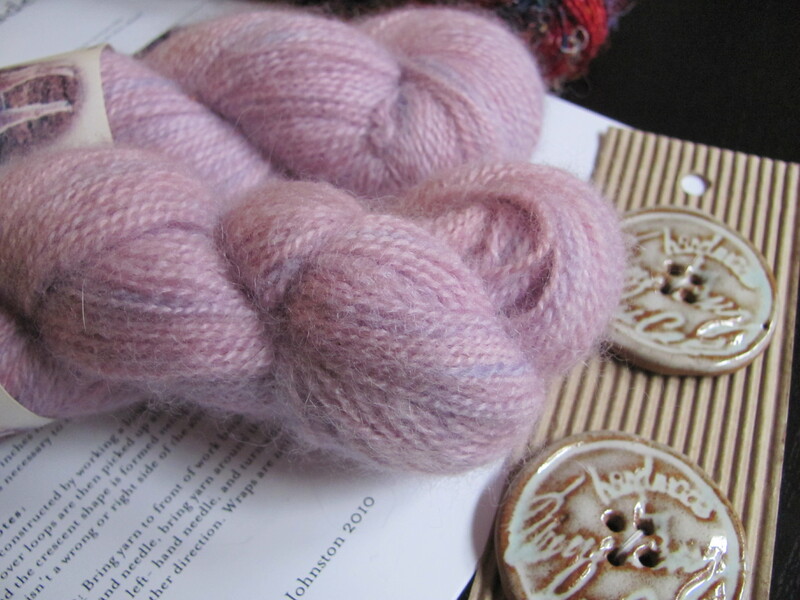 At the top is some Malabrigo sock, but a close up is necessary in order to appreciate its range of purples. I unfortunately lost the label, but I think it is 854 Rayon Vert. There are touches of green in it, albeit hidden in this ball. If you’ve never heard of recycled sari yarn, a quick Google search will tell you more, though basically it’s exactly what it sounds like. It’s different, and colourful and silk is apparently very insulating. I only got the one skein to try, so wrist warmers here I come! And a close up of the alpaca is required, of course. Soooo soft. I have no words. 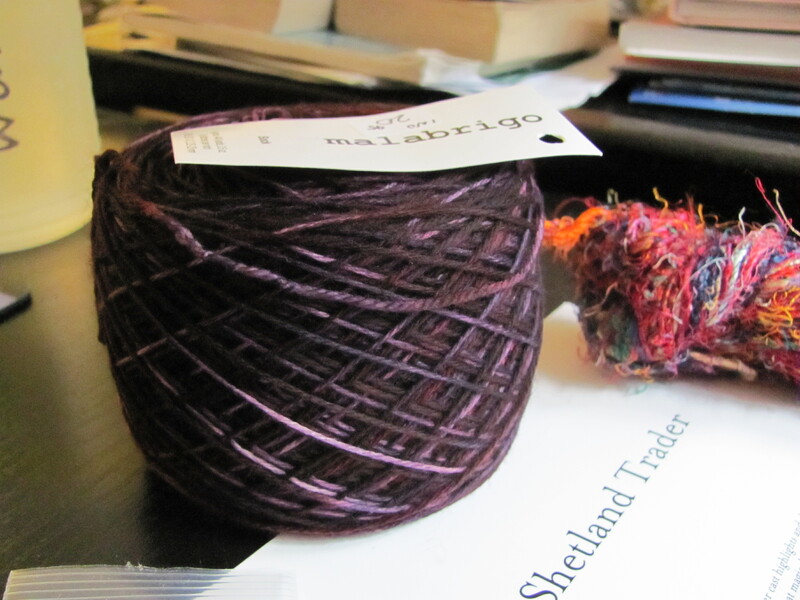 I cannot wait to cast on that shawl. Also in the above photo are two buttons handmade in South Africa. I liked the antique look to them. This entry was tagged comics, Knitter's frolic, knitters, knitting, Toronto, yarn. Bookmark the permalink. Thanks for your comments! I am on the hunt for a good felted slipper pattern if you have any suggestions. I don’t know how I hadn’t found your blog before now! 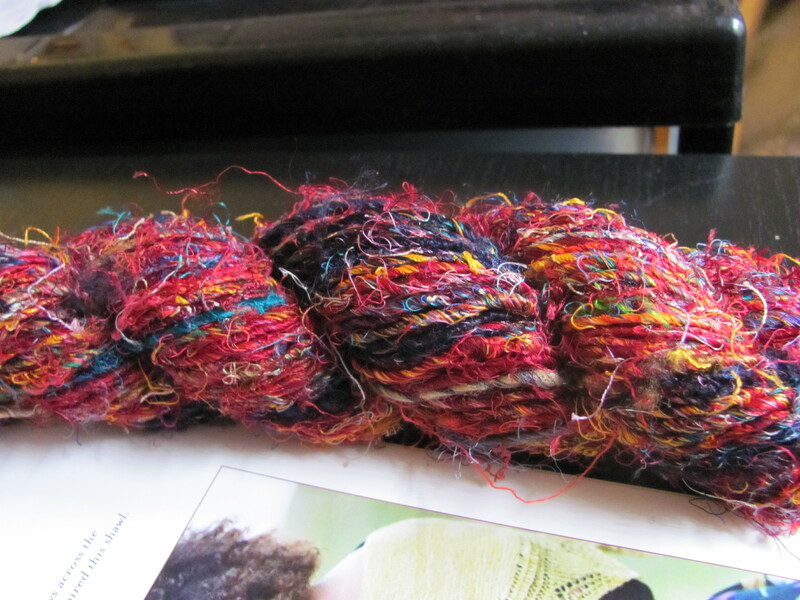 I like a good combination of knitting and geekery and I, too, just discovered Worsted for Wear (it’s a good thing it was posted on Girls With Slingshots the other day or I would have never known about it). Thanks for the compliment 🙂 And glad to know I’m not the only knitting geek out there!